Why recommend administration of antioxidants to my pet? Inflammation is a normal body process by which the body repairs itself or attacks foreign invaders such as viruses, bacteria, fungi, etc. Reactive oxygen species are produced during the process of inflammation. The body has a built-in ability to neutralize these reactive compounds once they have done their work. When inflammation persists, the body's own natural antioxidants may become depleted, allowing reactive oxygen species to accumulate and damage normal healthy cells. 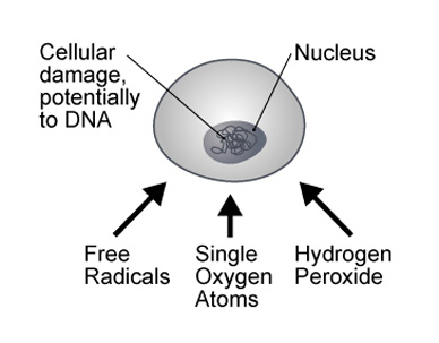 A well-known and much feared consequence of reactive oxygen species is damage to DNA that results in the formation of cancer cells. Examples of chronic inflammation include longstanding allergic dermatitis and chronic arthritis. Antioxidant supplements can be prescribed to help treat and prevent this and other chronic inflammatory diseases. How much experience is there with the use of antioxidants in pets? Experience is extensive in the use of antioxidants in pets with allergies and arthritis while interest for the treatment of other disorders is ongoing. What species of animals are being treated regularly with antioxidants? While any species can benefit from antioxidants, horses, cats, and dogs are the pets most commonly treated. There is extensive research into the potential benefits of antioxidants in people, laboratory animals, and cell cultures. Results of clinical data show some benefit to pets with allergies and arthritis. How can my pet benefit from antioxidants? Antioxidants neutralize the effects of chronic inflammation, which is a feature of a wide variety of stubborn health problems in animals. Supplementation with antioxidants may be beneficial to any chronic inflammatory condition. Antioxidants are very successful in reducing the negative effects of inflammation when used appropriately. They should not be looked upon as curative in themselves, but can form an extremely valuable part of integrated therapy for a wide variety of conditions. Antioxidants are generally safe. To prevent toxicity, balanced supplements rather than individual vitamins and minerals should be used. "To prevent toxicity, balanced supplements rather than individual vitamins and minerals should be used." Some antioxidants function synergistically to enhance each other's effects, and require appropriate levels of each component for best results. Some antioxidants may interfere with conventional cancer therapies while others can actually enhance chemotherapy and radiation therapy outcomes. Veterinary supervision is recommended when using antioxidants in the treatment of cancer. Where do I obtain antioxidants and do I need a prescription? Pet owners are cautioned against buying supplements over-the-counter, as supplements are not highly regulated and some supplements may not measure up to their labels. Your veterinarian may have preferred supplements that he or she will recommend. 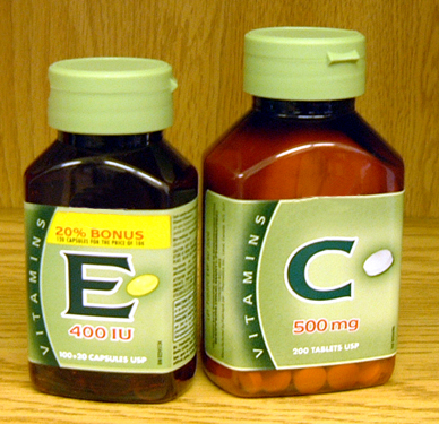 A prescription is not needed for antioxidant supplements.